Did you know that IASB member districts and their architects have online access to more than 500 innovative school design projects? 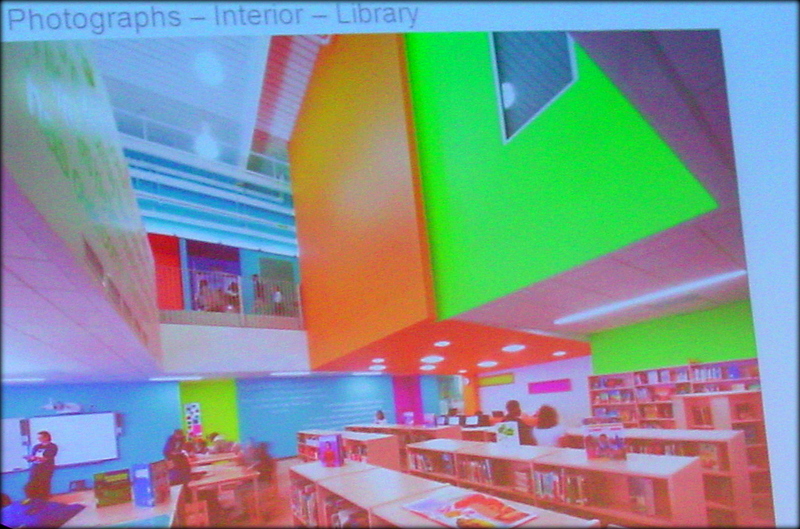 The School Design Data File is an online repository of all entries in the annual Exhibit of Educational Environments. This is a juried competition sponsored by the IASB Service Associates. All entries are displayed at the Joint Annual Conference in November; however, information about each project is also available in this free online database. IASB has recently updated the database to provide school officials and their architects with ideas and insights into innovative Illinois school design projects. Information provided by the designing architect for each project can now be searched by an even wider variety of variables in easy to use pull-down menus. After selecting any one category, the database will respond with the total number of projects meeting the selected criteria in that category. After identifying one or more projects that meet the criteria requested, the IASB Resource Center can provide a complete data report for each identified project and copies of a narrative text and/or illustrations that were supplied by the architectural firm relative to the project. The School Design Data File can be found at: www.iasb.com/design. Additional information about the database is available by contacting the IASB Resource Center, ext. 1105, or by emailing jnelson@iasb.com. Information about the Educational Environments Exhibit is available from IASB Communications, ext. 1131, or by email at: srotherham@iasb.com. And visit the 2015 Conference page to see which projects earned special merit in this year’s Exhibition of Educational Environments.